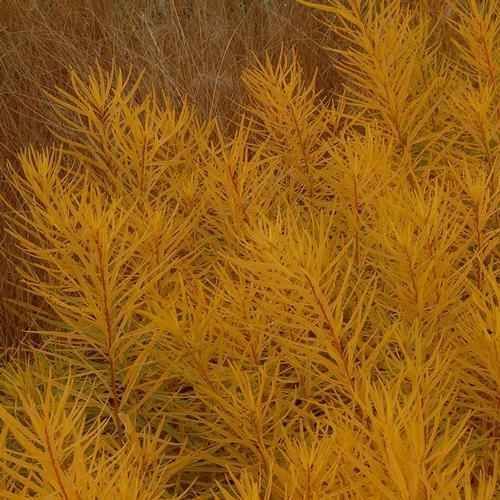 This golden beauty stood out on the catalog page for several of us and will be sure to stand out for your customers too. Improved habit and foliage with better resistance to tip die-back. Blue star flowers in summer and foliage turns a rich boozy butterscotch with red stems in fall.